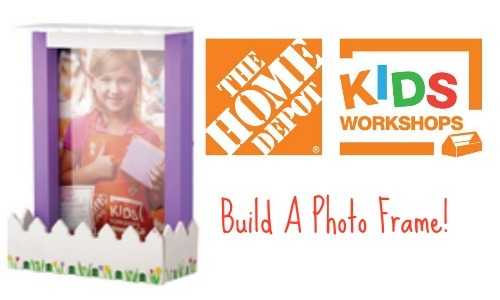 Another Home Depot Kid’s workshop is coming up on 5/2! Your kids can build a Picket Fence Photo Frame! This workshop is for kids ages 5-12 from 9 am -12 pm. Every child will also get a FREE apron, pin, and certificate of achievement. Remember that you will have to register your children for the workshops. Search for your local store and add the details of who’s coming. The workshops are FREE and are loads of fun for your kids. The workshops are on a first-come, first-serve basis.